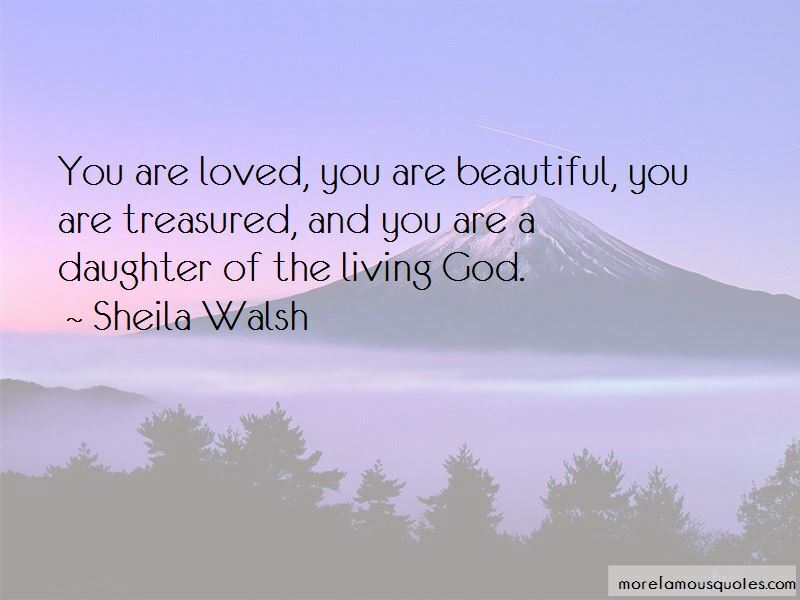 Enjoy the top 38 famous quotes, sayings and quotations by Sheila Walsh. “One of the things I am very aware of not having in my life is the love of my father ... but I know now that it is hard to make up that loss in the life of a daughter. It's your dad who tells you that you are beautiful. Its your dad who picks you up over his head and carries you on his shoulders. It's your did who will fight the monsters under your bed. A rabbit, it has been said, can outrun a lion. But the rabbit's great fear of the lion paralyzes it, making it easy for the lion to catch and consume it. You are loved, you are beautiful, you are treasured, and you are a daughter of the living God. While walking through a dark season, if we attempt to navigate our lives by what we feel, we will run aground onto the rocks. We must navigate by what we know is true no matter what we feel. When we don't deal honestly with our lives and the losses we face, when we try to anesthetize the pain and move on, then the suppressed anger or fear or guilt will deal with us until we are ready to deal with those issues. I got pregnant and turned 40 at the same time. Theres not one good thought in me, apart from God. Thats the good news. 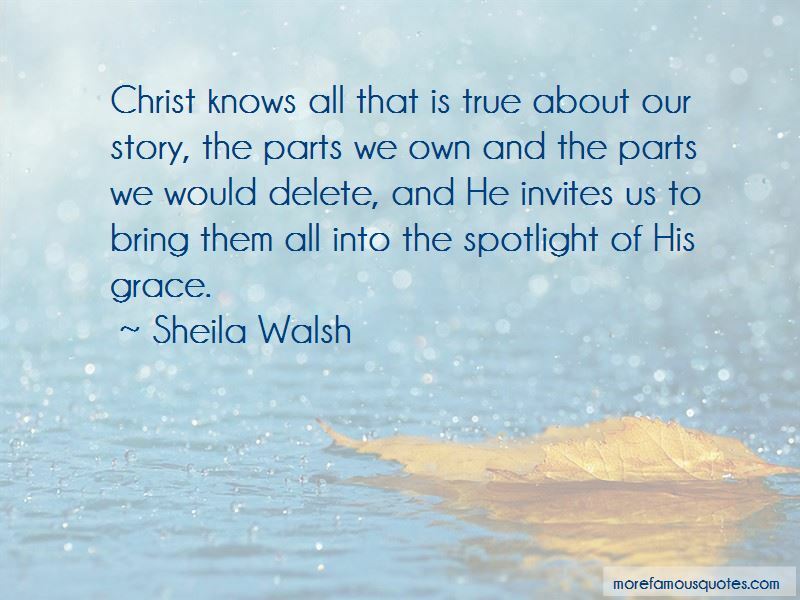 Want to see more pictures of Sheila Walsh quotes? 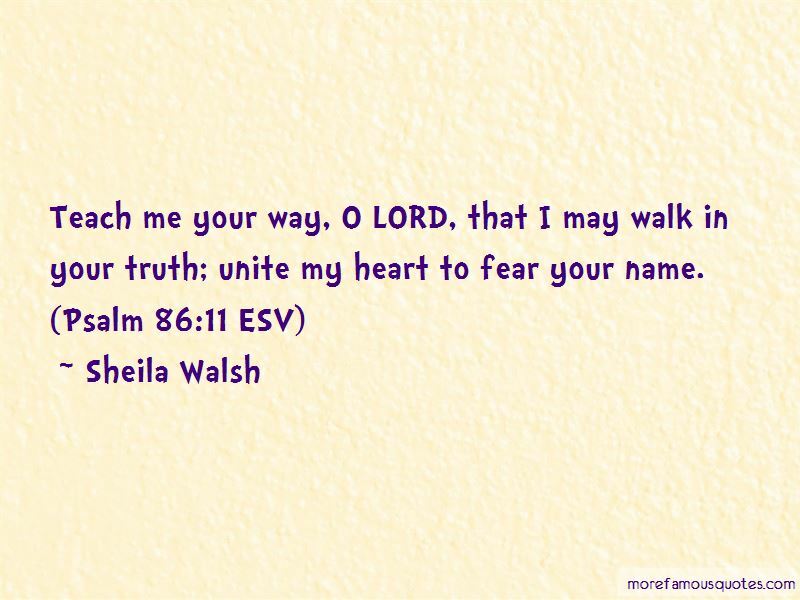 Click on image of Sheila Walsh quotes to view full size.